The Unbecoming of Mara Dyer remains one of the most unique and exciting YA series I've read in my (not so many) years of reading YA books. 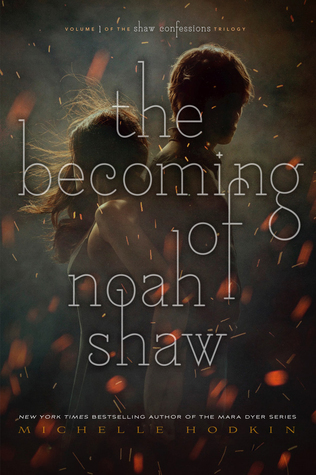 I binged the series all at once and loved it, including Noah Shaw! Who doesn't love Noah Shaw, honestly? He's the perfect bad boy book boyfriend, so of course I was just as excited as the rest of the Mara Dyer fans when his very own book was announced. Sadly, it just didn't do it for me. I'm not quite sure what happened between The Retribution of Mara Dyer and The Becoming of Noah Shaw, but I'm not even sure these were written by the same person. I thought I'd love reading a series from Noah's point of view, but I ended up being bored to tears. The characters, including Mara, were painful to read. Mara seemed like a totally different character in this book than in her own series and I found myself no longer caring much about her. The new characters introduced were utterly forgettable. I stopped reading at 50% and I couldn't have told you who any of them actually were. Also immensely disappointing was the complete lack of plot. Noah and Co. plodded along with no clear destination. There were a couple of interesting ideas thrown in, but they didn't go anywhere in the first half of the book and I couldn't make myself care enough to continue reading. I don't think I've been this disappointed in an anticipated this year. I know by the reviews that I'm not the only one who feels this way so I can only hope that Michelle Hodkin steps up the Noah Shaw game in book two, although I doubt I could be persuaded to give this one another chance.